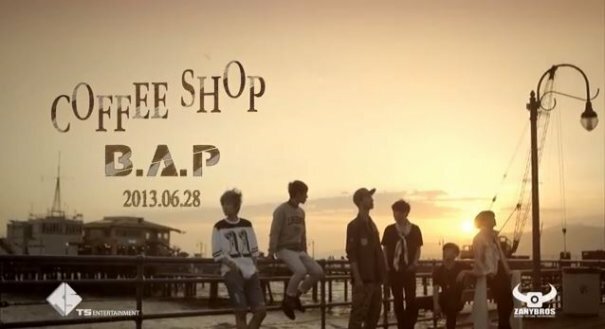 B.A.P returns with MV for 1st title track "Coffee Shop"
B.A.P is here, yes sir, bringing you the 1st title track in their line up of three, "Coffee Shop"! For their return, the boys traveled all over the States including Los Angeles, San Francisco, Washington D.C., New York, and more to shoot their music video as well as present us with concept photos depicting the matured boys of B.A.P, who have come a long way since their days as six matching blondes. For "Coffee Shop", the boys are setting aside their powerful warrior concept as they team up with jazz pianist Song Young Joo for a softer sound, so take a look at the MV above as we await the other title tracks!